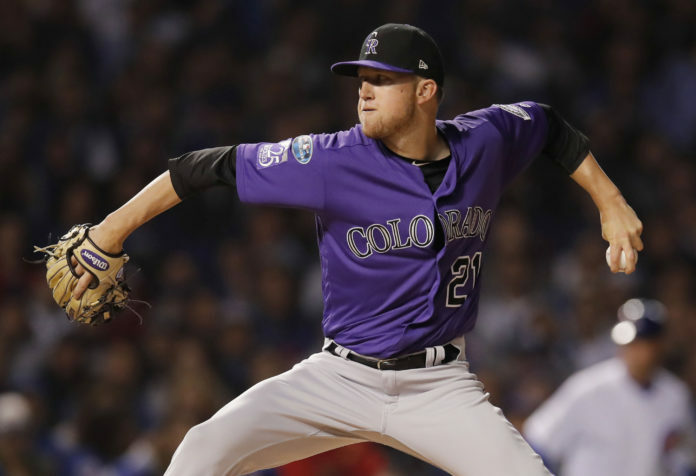 Kyle Freeland’s tenure with the Colorado Rockies has been tremendous thus far, a performance that warrants a contract extension. Colorado and Freeland can avoid arbitration entirely if they agree on an extension, which seems to be a logical move for both parties. Freeland, a native of Colorado, was selected by the Rockies with the eighth overall pick in the 2014 MLB Draft. Coming out of the University of Evansville, Freeland had a tremendous college career, which earned him a top-10 selection to his hometown team. Freeland originally sunk his roots in Denver and had a solid high school career at Thomas Jefferson. On April 7, 2017, Freeland made his first career start in which he picked up a victory against the Los Angeles Dodgers. That was the start of what has been a solid Rockies career so far, including a breakout 2018. Last season was an incredibly special one for Freeland and the Rockies as he finished fourth in National League Cy Young voting and played a major part in getting Colorado back to the postseason. Freeland finished last season with a 17-7 record and an earned run average of 2.85 to go along with 173 strikeouts. The Rockies ace also started his first career postseason game against the Chicago Cubs in which he pitched 6.2 innings of shutout baseball to keep Colorado in the game. Freeland thrived in his first season under Rockies’ Manager Bud Black and he does not seem to be slowing down anytime soon. 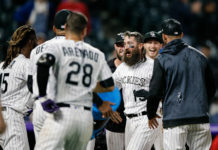 Even though he was roughed up early in his last start against Tampa Bay, Freeland already has one victory this season after he pitched seven innings of one-run baseball in Colorado’s victory over Miami last week. The Rockies now have a pitching staff that can lead the team to success and Freeland has been at the forefront of that growth. A contract extension similar to the one Marquez got could be huge, not just for Freeland, but the Rockies continued success moving forward. 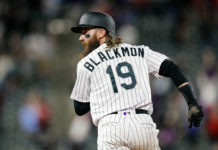 Colorado has at least a year to get a deal done before arbitration, but Bob Nightengale of USA Today reported yesterday that the Rockies and Freeland have had no discussions on a long-term contract. There is still plenty of time for Colorado and Freeland to come to an agreement, so there is no need to worry yet. If the Rockies want to sustain their pitching staffs’ success moving forward though, they need to consider giving Freeland a contract extension sooner, rather than later.